Video equipment rental company Pete’s Big TVs provided Florida’s Palm Beach Opera and its scenic designer with their first LED video wall experience. It was also the world premiere for the opera’s show, Enemies, A Love Story, held Feb. 20-22 at the Kravis Center for the Performing Arts. 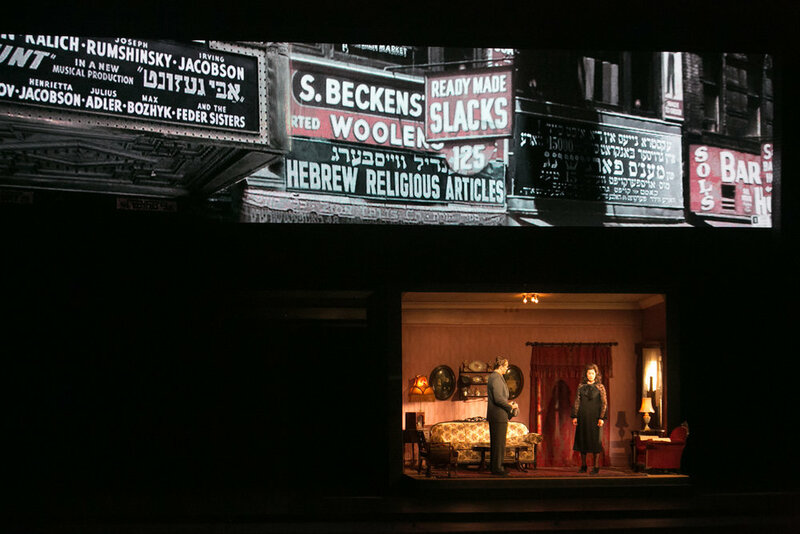 Based on the book by Isaac Bashevis Singer, the opera is described as a light-hearted but dark comedy about a Holocaust survivor in 1948 post World War II. The character presumes his wife is dead, and with his move to New York City he marries again and takes a mistress, only to have his first wife show up very live on his doorstep. New York-based scenic designer Allen Moyer said it was the first time an LED video wall was used at the Palm Beach Opera. Though he has used video projections in his career as a Broadway show, dance, theatre and opera designer, it was also his first time to use an LED screen, and he was happy to report a successful experience with it. Moyer worked with lighting designer Aaron Black and content creator Greg Emetaz. “The content was initially location based and was meant to ground us and help know where we were in the story,” Moyer explained. “The opera takes place in New York City in the late 1940s. Then there were moments that the images evolved into more psychological and emotional reactions to the sung text.